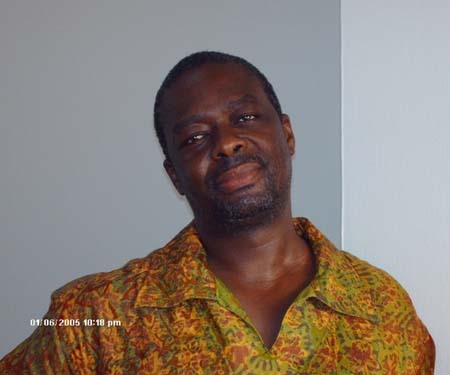 Balufu Bakupa-Kanyinda was born in 1957 in Kinshasa, Congo (former Zaïre). He studied sociology, contemporary history, and philosophy in Brussels, and cinema in France, England, and the United States. Both a writer, poet, novelist, screenwriter and producer, Balufu Bakupa-Kanyinda signed some analysis on the African Cinema and has also written several articles on the way blacks are perceived in western cinema and television. Balufu Bakupa-Kanyinda is also instructor of cinema. In 2006/2007 he was invited by New York University to teach at NYU-Abroad campus in Ghana. Balufu Bakupa-Kanyinda's films have received international acclaim. His best-known films, The Draughtsmen Clash, Article 15A, Afro@digital and Juju Factory have all won prestigious awards at major festivals. They have also been shown on television in Europe and Africa, and are also collected by several colleges and university libraries in the United States of America. Balufu Bakupa-Kanyinda's latest film Juju Factory was the big event during the Fespaco - the Pan African film festival of Ouagadougou (Burkina Faso, West Africa), where it had its world premiere on March 1, 2007. 'Juju Factory' has received four awards for best film in Austria (Innsbruck International Film Festival), in Tanzania (Zanzibar International Film Festival), in Kenya (Kenya International Film Festival) and in France (African Film Festival at Apt). 'Juju Factory' has received also the Best Actress Award (Carole Karemera as Béatrice). This film is still being invited at major festivals throughout the world. It had its US Premiere at New York University in November 16, 2007. 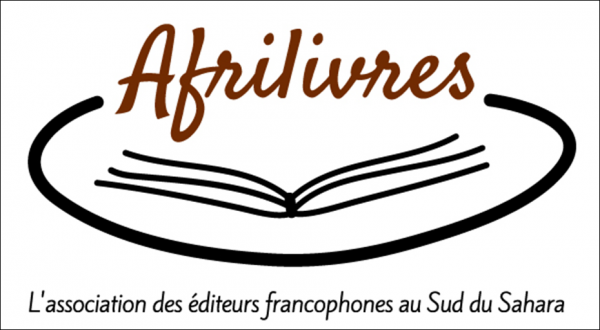 French, English, Tshiluba, Swahili and Lingala. Balufu Bakupa-Kanyinda is a founding member of the African Guild Of Directors and Producers created in 1997. He is also the founder and the chairman of the Belgian non-profit association'Artspheres', that helps young people to understand better the craft of the image and sound. In 2001 he was part of the selection programs team of the INPUT (International Public Television), Conference that was held for the first time in Africa, at Cape Town, South Africa. From 1979 to 1981, Balufu Bakupa-Kanyinda worked at the French Cultural Center in Lubumbashi (Katanga, South of the Congo), where he was responsible for the cinema program. He has traveled across the vast territory of Katanga; made photographs and wrote a travel notebook:'Faces of Death in Shaba' (French Cultural Center, Lubumbashi. Zaire. 1981). In November 1981, he left Lubumbashi to settle in Brussels, Belgium. From 1982 to 1986, in conjunction with his studies at the Université Libre de Bruxelles (Brussels, Belgium), he developed a great artistic and cultural activity. In theater, he wrote and directed'If you are Africa...', which is an'Avant-garde' play that mixes music, dance and poetry (Cultural Center Audhergem, April 1984. Brussels, Belgium). In 1984-85 Balufu Bakupa-Kanyinda collaborated, for a short time, with producers at the Belgian public television (RTBF) on the first show ever to have invited Congolese intellectuals. This original program was entitled'Boula Matari', and based on the Belgo-congolese colonial confrontation. As a political activist against the dictatorship of Mobutu of Zaire, he was asked to leave Belgium in 1986. He took refuge in France. In 1986-87, he collaborated with the Amiens International Film Festival (France) to publish an article on the'"The roads of the South: the image of Blacks in the French cinema'. From December 1986 to May 1987 he studied film production at ARSCIPRO, a private film school in Paris headed by Jacques Gurfinkiel, French cinematographer and director. From June to August 1987, Balufu Bakupa-Kanyinda took film courses during the summer session of the Fine Art School at Cambridge, UK. Between 1988 and 1991, he took part in a series of Seminars with other filmmakers and professionals, including John Akomfrah, Gaston Kabore, Souleymane Cisse, Djibril Diop Mambety, Manthia Diawara, Abby Ford, Mbye Cham and Haile Gerima who teaches film at Howard University, Washington DC. He continued to study film making through several training and workshops in New York City, Washington DC, Toronto and Los Angeles. In 1989, Balufu Bakupa-Kanyinda started the documentary film project on Thomas Sankara that it will be produced in 1991, a few months before his first film, a documentary short Ten thousand years of cinema. 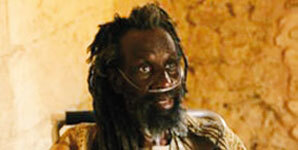 In 2004 he was the executive producer of Who's Afraid of Ngugi Wa Thiong'o, directed by Manthia Diawara. Film, Television: writing, production, narrative, directing. Memory. Representation of Black in the Media. Otherness, prejudices, clichés, stereotypes in Television and Cinema as tool of mass communication propaganda. Balufu Bakupa-Kanyinda is also instructor of cinema. From 2000 to the present, he has been touring Africa and the world, showing his films, giving master classes on filmmaking, and lecturing. He has also written several scripts, directed and produced features films and documentaries. In 2006/2007 he was invited by New York University to teach at NYU-Abroad campus in Ghana. In 1982, Balufu Bakupa-Kanyinda was a member of the organizing committee of the great exhibition' Sura Dji- Faces and Roots of Zaire', dedicated to the art and culture of the Congo (former Zaire) at the Musée des Arts Décoratifs (May 7 - August 30, 1982. Louvre, Paris, France). Deciding not to pursue a doctoral dissertation at the university, he turned the topic of his thesis into a project on colonial prejudice, which became a book and an exhibition: "ZAIRE 1885-1985: A hundred Years of Belgian Glances "(CEC, 1985 Brussels, Belgium). The collected work, edited by Balufu Bakupa-Kanyinda, deals with issues of representation, Otherness, the creation of prejudices, clichés and stereotypes in the relationship between Africa and the West, particularly between Belgium and the Congo. * Mention of the Jury, Fespaco 1997. Burkina Faso. * ACCT Agence de la Francophonie Prize. Fespaco 1997, Burkina Faso. * Reel Black Talent Award. Toronto, Canada. 1997. * Grand Prix, Festival Villeurbanne, France. 1997. * Award for Quality, CNC, France. 1998. * Le Lutin for Best Original Score (Music: So Kalmery) France. 1998. * Best Short Film from the South Cirtef Prize. 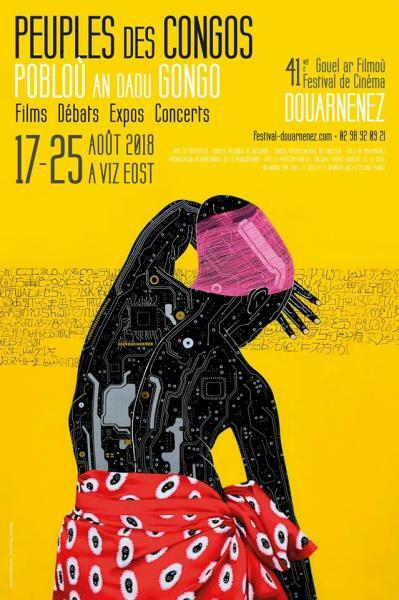 International Francophone Film Festival, Namur, Belgium. 1998. * Trophy Cinema Vision 2000. African & Caribbean Awards, Abidjan, Cote d'Ivoire. 1998. * Best Emerging Artist, National Black Programing Award, Philadelphia, USA. 1998. 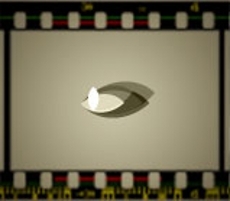 * Mention of the Jury, Short Film Festival in Clermont-Ferrand, France. 2000. 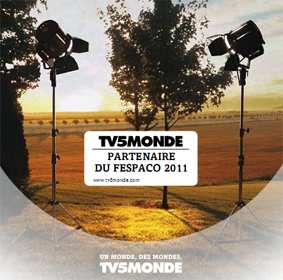 * Mention of the Jury, International Film Festival Francophone. Namur, Belgium. 2000. * Bronze Tanit, second Best Short Film. Journées Cinématographiques de Carthage. Tunisia. 2000. * Poitou-Charentes Prize. Fespaco. Ouagadougou, Burkina Faso. 2001. * Best Short Film Prize. African Film Festival, Angers, France. 2001. * Mention of the Jury. Zimbabwe International Film Festival. Harare, Zimbabwe. 2004. * BEST FILM. African Film Festival at Apt, France. November 2007. * The Faces of Death in Shaba. Book travel 1979-1981. French Cultural Center, Lubumbashi. Zaire. 1981. * If you are Africa... Theater. Cultural Center Auderghem. Brussels. Belgium. 1984. *'ZAIRE 1885-1985: a hundred years of Belgian Glances.' CEC Brussels. Belgium. 1985. * The roads of the South: the image of Blacks in the film French. In the Catalog of the Festival d'Amiens, Amiens. France. 1986. * From historical expression. 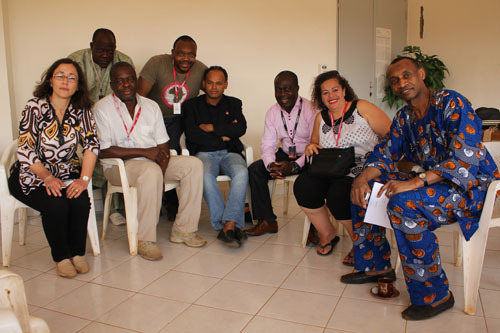 In Africa and the Centenary of Cinema. Collective. Fépaci. Présence Africaine, Paris. France. 1995. * Scenario: the cultural belief. In The African Film magazine, Amiens, France. May 1997. * Concave Vision on Africa. European Museum of Photography, Paris, 1998. * A long memory (the traces of slavery). Revue Présence Africaine. Paris, 1998. * Djibril Diop Mambety. Film Tribute to Colobane. Revue Présence Africaine. Paris, 1998. * Filming in Africa. Challenging stereotypes. A Chronicle. United Nations magazine. New York. USA. 2003. * The spirit of Digital. Revue Présence Africaine. Paris. 2005. Der Schriftsteller und Filmemacher Balufu Bakupa Kanyinda wurde 1957 in Kinshasa geboren. Er studierte Geschichte, Kunstgeschichte, Philosophie und Soziologie in Brüssel. Nach seinen Filmstudien in Frankreich, Großbritannien und den USA drehte er zahlreiche sowohl Dokumentar- als auch Spielfilme. Zurzeit lehrt er Film in New York und Ghana. Balufu Bakupa Kanyinda schreibt auch Romane, Drehbücher und ist als Filmproduzent tätig. Sein jüngster Film JuJu Factory gewann den "Goldene Dhow", den ersten Preis des Internationalen Filmfestivals in Sansibar 2007, sowie die ersten Preise in Innsbruck (Österreich), Nairobi (Kenia) und Apt (Frankreich). Dix mille ans de cinéma (in partim...), Doku-mentarfilm, 13 min., 16 mm. Scolopendra Produc-tions, Frankreich, 1991. Thomas Sankara, Dokumentarfilm, 26 min., 16 mm. Channel Four, UK, 1991. Le damier - Papa national oyé !, Spielfilm, 40 min., 35 mm. Dipanda Yo!, Demokratische Republik Kongo - Centrale Productions & CENACI, Gabun - Myriapodus, Frankreich, 1996. Bongo Libre, Dokumentarfilm, 26 min., 16 mm. Dipanda Yo!, Demokratische Republik Kongo - Myriapodus, Frankreich, 1999. Article 15 bis, Spielfilm, 15 min., 35 mm. Watt, Spielfilm, 19 min., 35 mm. Dipanda Yo!, Demokratische Republik Kongo - Akangbé Productions, Frankreich, 1999. Balangwa Nzembo (l'ivresse de la musique congolaise), Dokumentarfilm, 52 min., 16 mm. Dipanda Yo!, Demokratische Republik Kongo - Myriapodus, Frankreich, 1999. Afro@digital, Dokumentarfilm, 52 min., Akangbé Productions, Frankreich - Dipanda Yo!, Demokra-tische Republik Kongo, 2002. Juju Factory, Spielfilm,, 35 mm. Dipanda Yo!, Demokratische Republik Kongo - Akangbé Productions, Frankreich, 2007. *Fespaco 2007, Ouagadougou, Burkina Faso. 2007.